El Calafate was created in 1927 and takes its name from the prickly shrub with fruit of strong tincture which is extends across the southern Patagonian Andes. This picturesque village on the shores of Lake Argentino, forming the best tourist resort of Argentina to take vacation packages all year long. Lying on the slope of the lands that surround it, El Calafate has a very mild microclimate that makes it a wonderful oasis to the tourist who arrives after traveling the arid landscape of the Patagonian plateau. The stream Calafate, which divides the town into two, is a haven of tranquility with its bedrock lying surrounded by willows on its banks. El Calafate is the closest town to visit the Glacier National Park and its famous Perito Moreno Glacier, declared Natural Patrimony of Humanity by UNESCO. The buildings of El Calafate are roofed, gable, to avoid effects of the weight of snow. The flora of the area is characteristic of the Andean Patagonian forest, with a predominance of forests of beech and cherry. There are good hotels, restaurants, nightclubs and good transportation. In the downtown of El Calafate is located the partner travel agency of 01Argentina Travel Agency that organizes numerous land and lake excursions to be add in your vacation package to El Calafate. 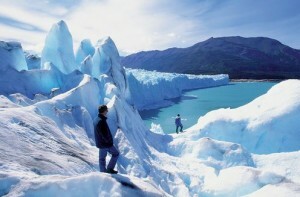 El Calafate, the main service center of the area annually receives thousands of visitors determined to access the legendary glacier crossing the Magellan peninsula with great vacation packages organized by 01Argentina Travel Agency. 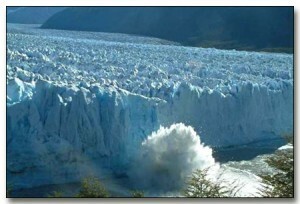 Stuck in the Parque Nacional Los Glaciares, Perito Moreno is the most famous and accessible glacier of the snow fields of the region, but it is not the only one. 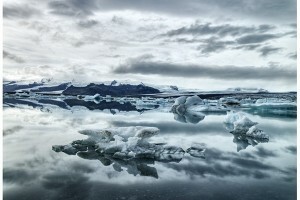 Other blocks of ice attractive dominate the protected area, standing among them the Upsala, the Spegazzini, the Onelli, the Agassizand Bolado. Fascinating, almost magical, the city of El Calafate which provides a scenic tourist card is unique to captivate the hiker from the physical senses to the feelings. Nimez Lagoon,with its flamingos and swans adorn the already beautiful landscape, and Punta Walichu, with its natural beauty decorated by ancient pictorial expressions, are two of the spaces offered by this charming town a short distance from the town center.